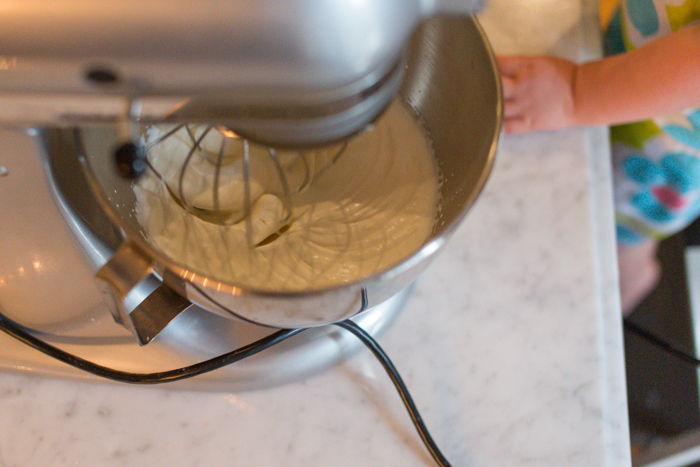 Step 1: Bake cake. I used the following recipe, called “Busy Day Cake.” This cake can be served warm, or cooled and served within a day or two. 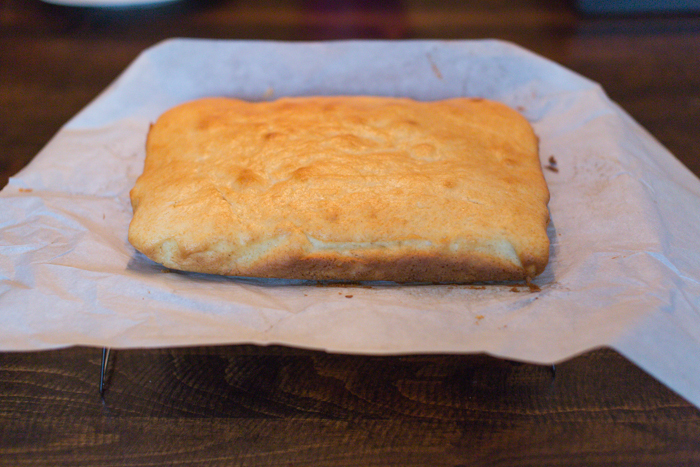 Preheat oven to 350 degrees F. Grease a rectangle cake pan. 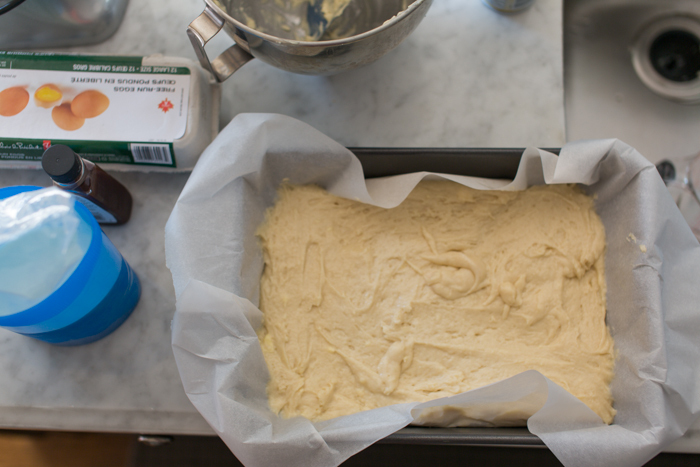 Line with parchment paper (for easy removal from pan). 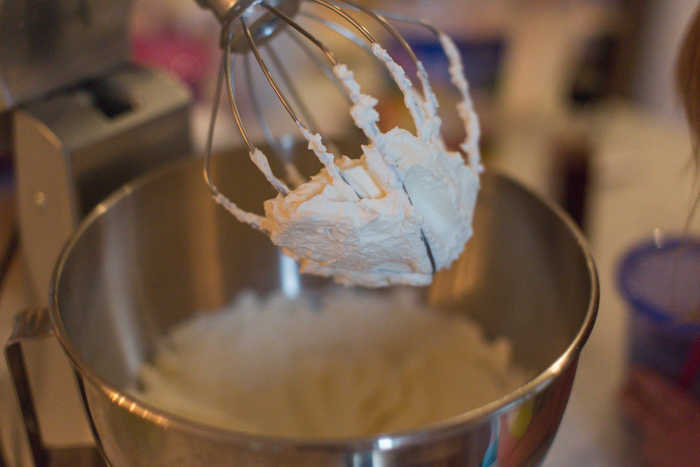 Combine first three dry ingredients in a medium mixing bowl. Then add the remaining four wet ingredients. Beat with an electric mixer on low speed until combined. Then beat on medium for one minute. Spread into prepared pan. Bake for 30 minutes or until a toothpick inserted comes out clean. Cool in pan for 20-30 minutes then remove and cool further on a wire rack. Mix ingredients together in a chilled bowl on medium speed until soft peaks form. 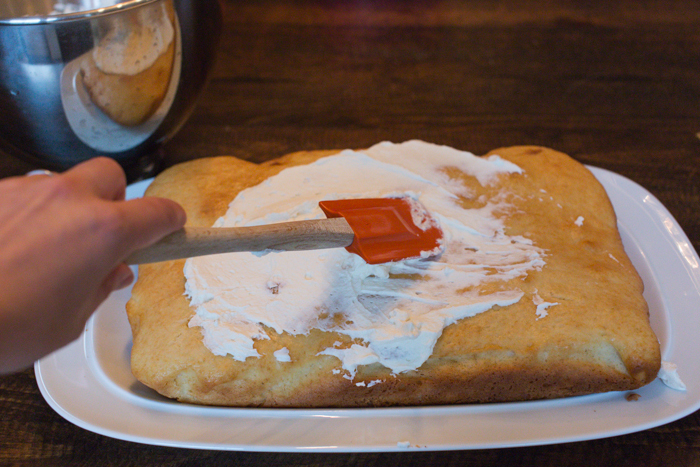 Step 4: Spread whipped cream across cake using spatula. 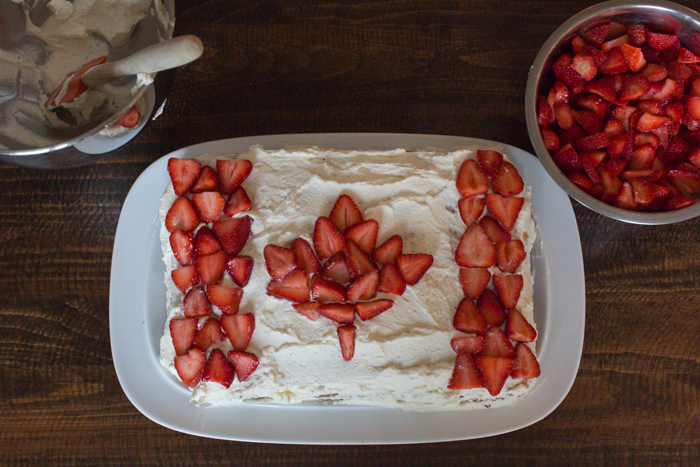 Step 5: Arrange strawberries in a flag pattern on cake. Store in fridge until ready to be eaten. Looks good and delicious! 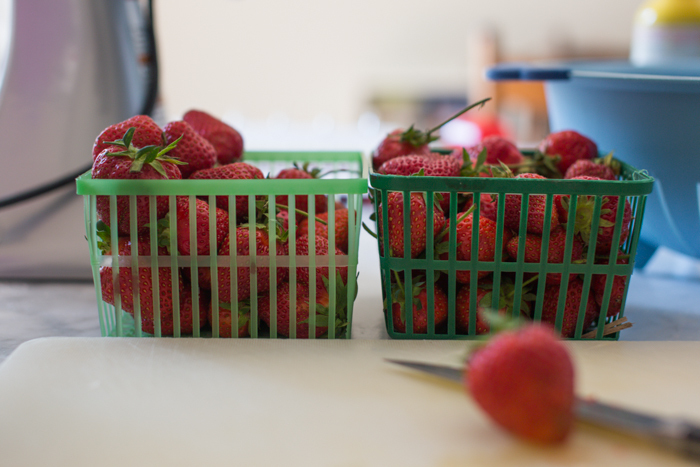 You can also divide the cake in two layers at the end of step 1 and add a layer of your sliced strawberries in between.